Intercoms allow you to communicate with people arriving at your property, meaning you can talk to a visitor before deciding whether to grant them access. Similarly, they can be used for communication between two or more rooms, meaning they have a variety of commercial applications. 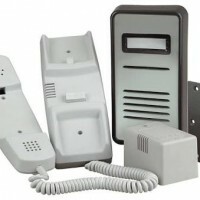 Autogate Supplies have a great range of intercoms to choose from, manufactured by some of the top brand names. Take a closer look at what we have in stock now, and find the perfect security solution for your own site.